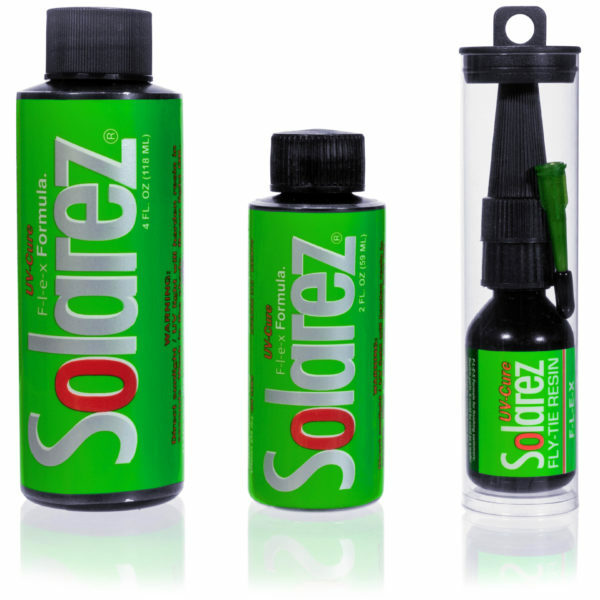 Solarez Vinyl Ester Epoxy UV Grain Sealer is perfect for sealing difficult substrates like oily woods, phenolic and bare metals. It cures in less than 5 minutes with exposure to good sunlight. 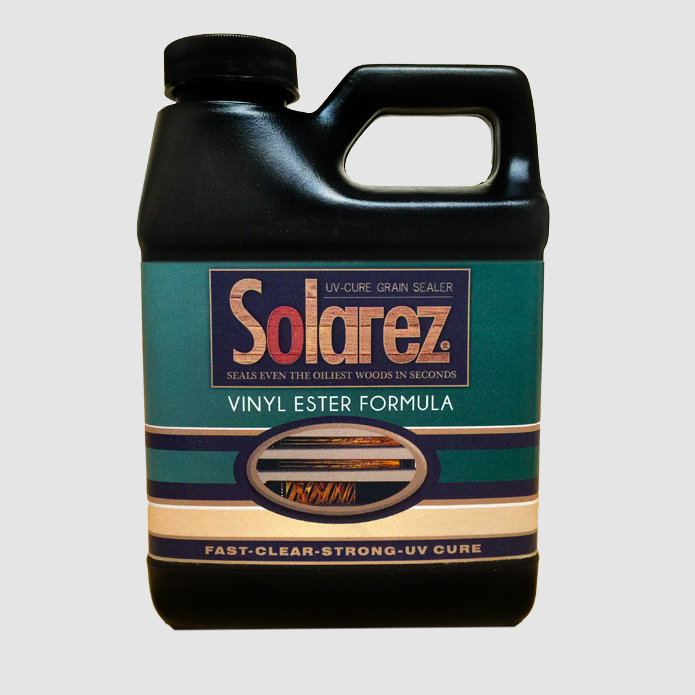 This vinyl ester epoxy sealer is specifically formulated for tough-to-adhere surfaces such as phenolic, bare metals and oily woods like cocobolo, rosewood and purple-heart. 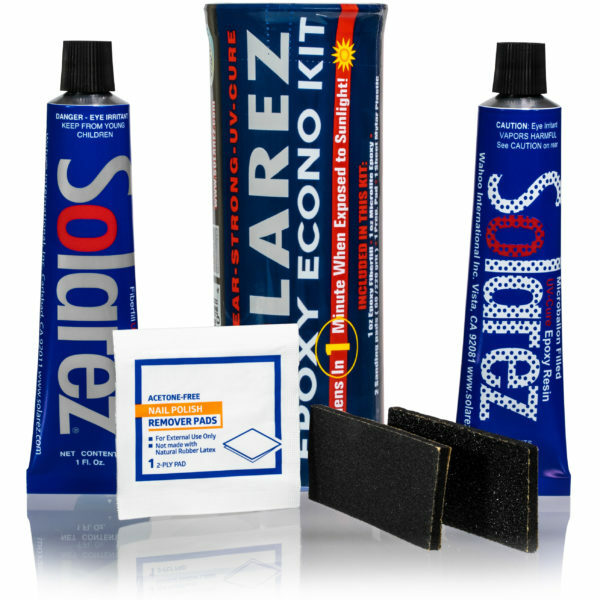 Vinyl Ester is compatible with a multitude of finishes such as polyesters, urethanes, acrylates, and epoxies. Reactive finishes (high-solids) cure by chemical reaction and require fewer coats to fill open grain woods. They experience less shrinkage than solvent-borne or water-borne “evaporatives” – those that cure by drying. Shellac is often used to seal oily woods but can take an extensive amount of time to fill deep grain. 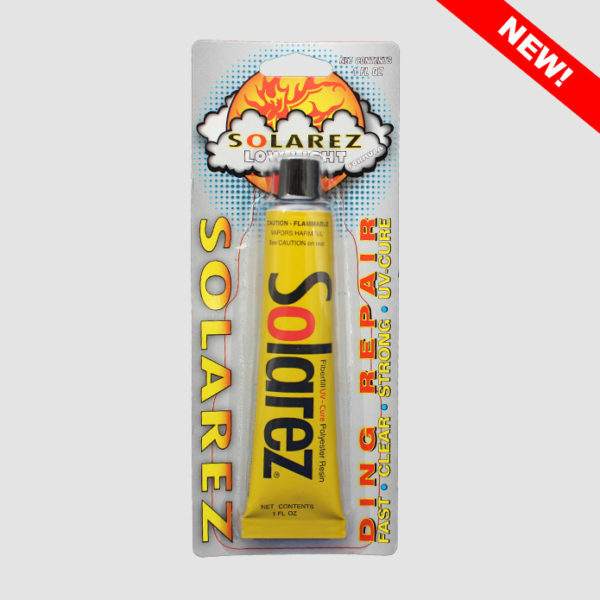 Solarez UV-cure grain filler and sealer cures not by evaporation but by photochemical reaction, and does so in seconds to minutes, rather than hours or days. Perfect on difficult surfaces like oily woods or bare metals and cures in under 5 minutes. Easy to use and can be applied with a brush or roller.